Every year, on the first Sunday of September Wrag Barn host their Mixed Open. Yesterday (2nd September) the sun was shining for the annual event and some excellent scores were recorded. Wrag Barn are exceptionally proud that this event is for visiting golfers only. The Mixed Open is always sold out quickly and was enjoyed by 120 competitors. In first place was Neil and Jen Patch from Minchinhampton, who scored a remarkable 44 points. In second place was Clive and Angie Adamson from Caversham Heath with 42. 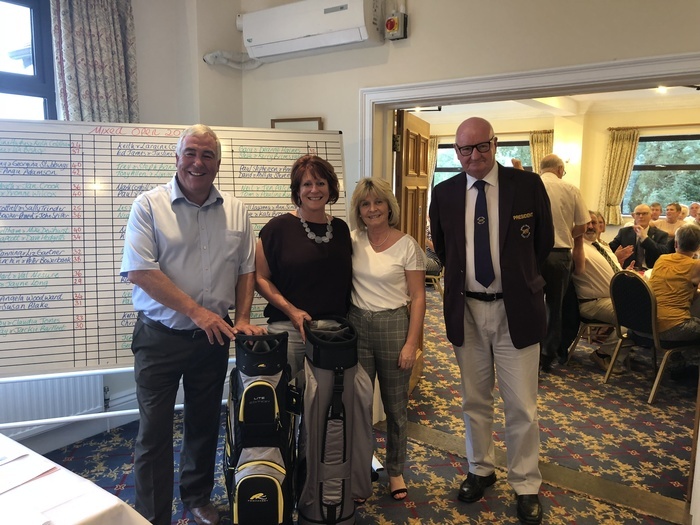 And in third place was Nigel and Anne Lorriman from Brickhampton Golf Club with 41 points. All in all, the Mixed Open was another wonderful event which was enjoyed by everyone. Wrag Barn Golf Club is a family run business located on the outskirts of Highworth, Wiltshire. The boys at Wrag Barn played all Par 3’s to see who comes out on top!